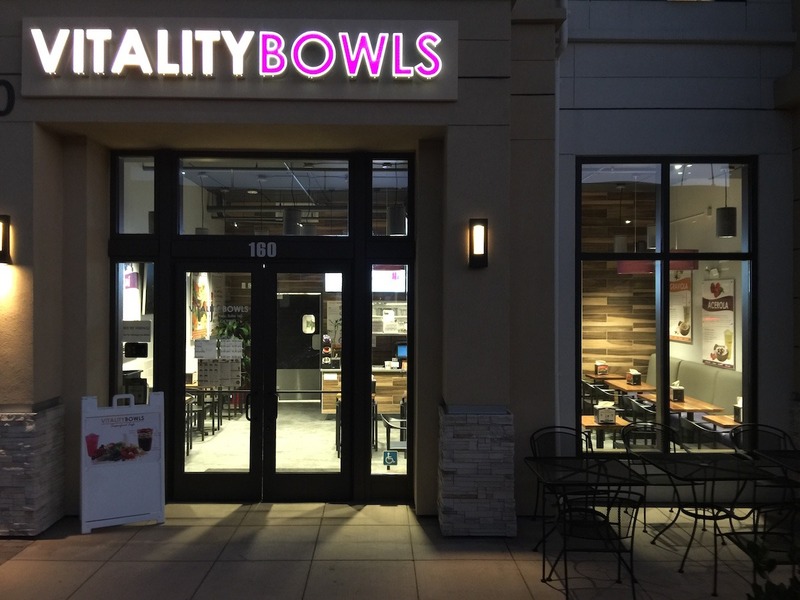 Vitality Bowls Cupertino opened in December 2015 on Vallco Parkway in a soon to be new downtown area. 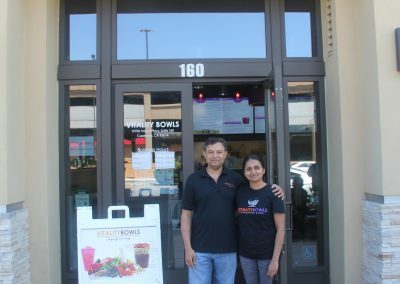 Located next to a number of businesses as well as a movie theater and bowling alley, Vitality Bowls Cupertino, which was also the first acai bowl restaurant in the area, has been popular amongst local residents from day one. 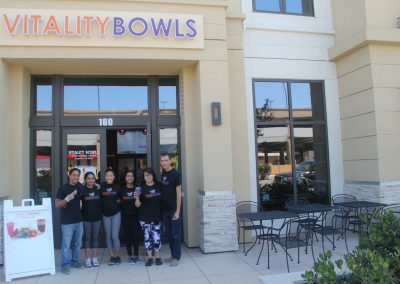 Vitality Bowls Cupertino is another company location in exciting Silicon Valley. 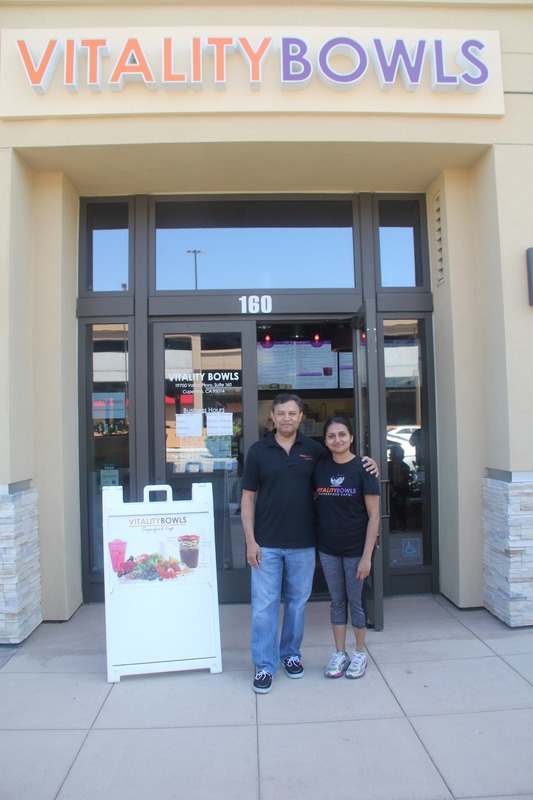 Home to a number of technology companies, including Apple’s corporate headquarters, Cupertino is situated near the beautiful Santa Cruz Mountains and borders nearby San Jose. 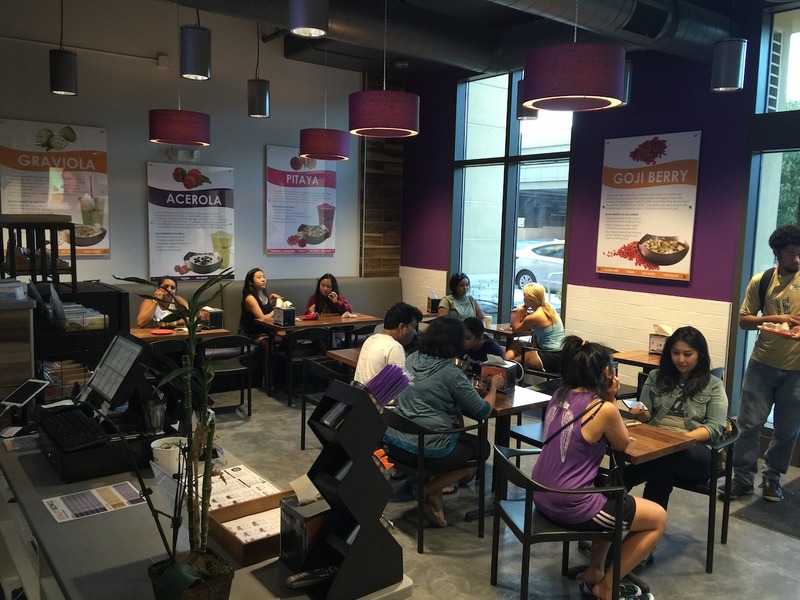 Customers love stopping by for fresh acai bowls and smoothies. 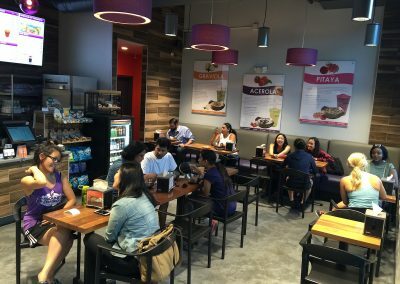 The café, which often caters to local businesses, also offers juices, salads, soups and Panini. 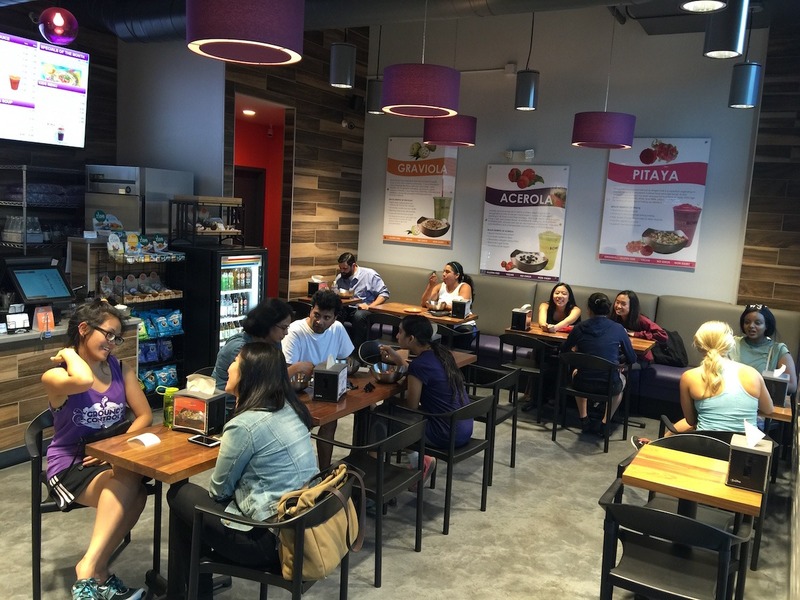 One of the local favorites is the Intensifier Juice, made to order with fresh Beet, Apple, Celery, Raw Ginger and Lemon. 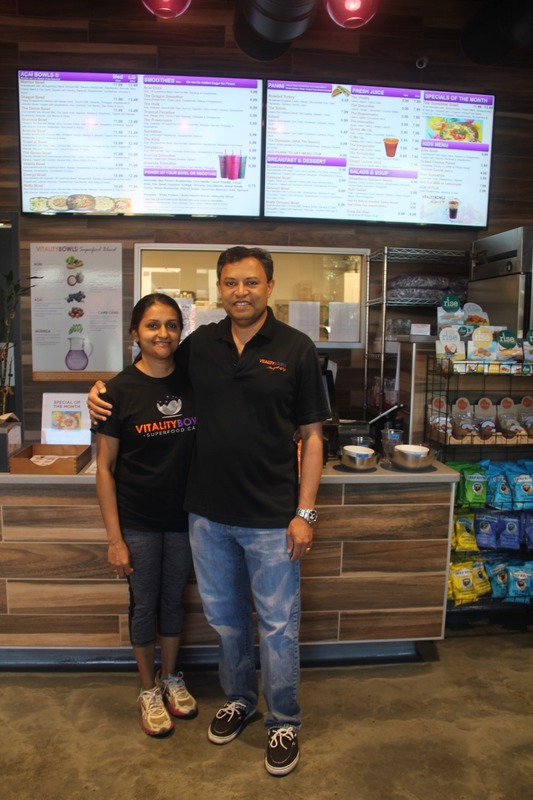 Prior to opening Vitality Bowls, owners Anil Nair and Anupama Krishnan had 40 years of combined business experience. 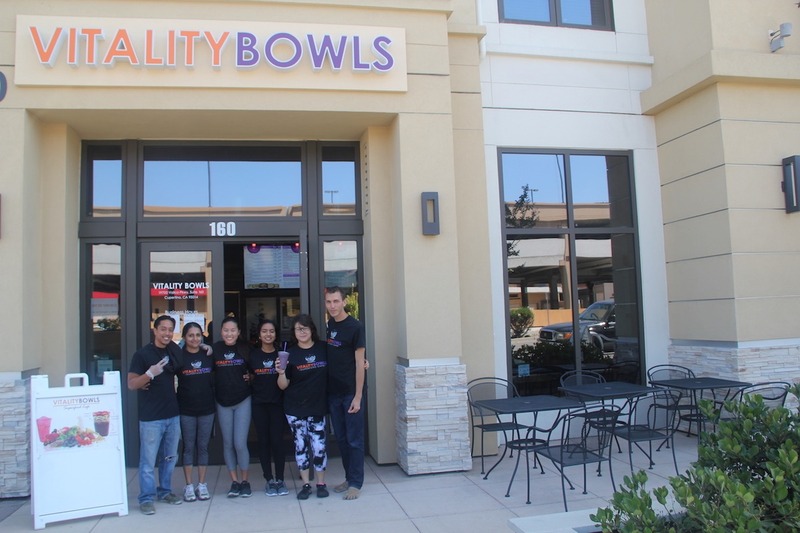 They had always been advocates of a healthy lifestyle and after living in Cupertino for 13 years, they knew Vitality Bowls would be perfect for the community. 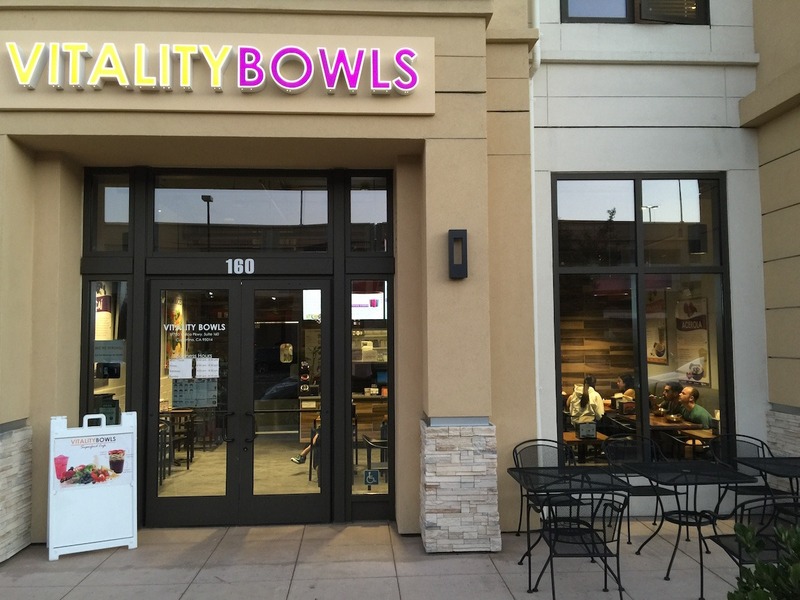 “Probably still the best Acai bowl to be found in the bay area. Something about the flavor that makes this place really good compared to all the other places. The proportions here are filling and honestly sometimes one bowl can feed two for a good snack. “I personally only get the Vitaly bowl here and make minor adjustments to it by removing the honey and adding the almond pieces. The Golgi berries are tasty and kind of taste like candy in the acai. The acai bowl always comes out very cold and refreshing, perfect for a post gym meal or a hot day. Sometimes they even have deals on groupon so be on a look out for them. 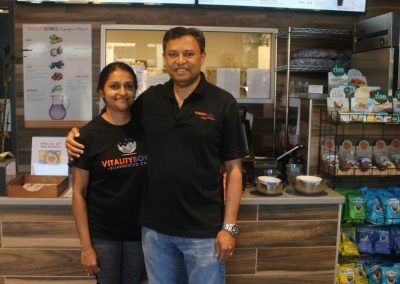 “Vitality bowl was so delicious! Only thing was that I got mine to go and when I got home realized there was no granola in it which was disappointing.